Justice Iqbal Ahmed Ansari, who wrote the judgment declaring the CBI formation unconstitutional, is transferred to Patna High Court. 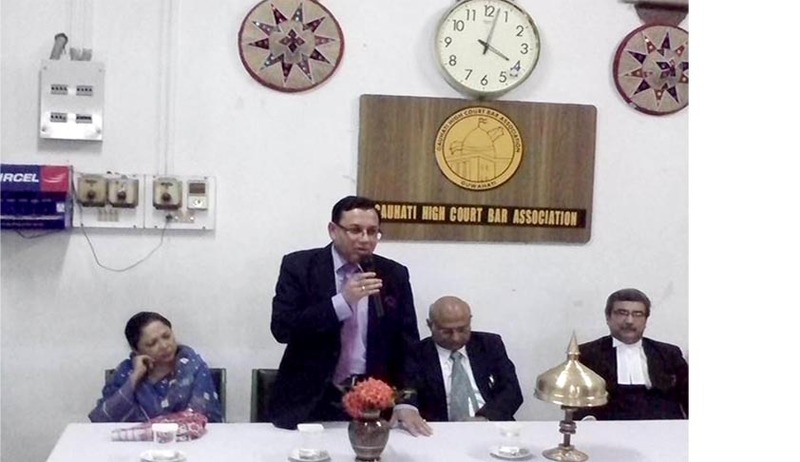 The Gauhati High Court Bar Association gave a farewell to Justice Ansari today. Justice Ansari , the senior most Judge in the Gauhati High Court was appointed as the Acting Chief Justice of Gauhati High Court from 15th October, 2013 till Justice Abhay Manohar Sapre took charge as the new Chief Justice.. It was few weeks back the Government had approved the recommendation of Supreme Court collegium for mass transfer and elevation of various High Court judges. Justice Ansari born on 29th October 1954, at Tezpur graduated in law from Tezpur Law College, where his father, a well known jurist, was founder Principal. He Joined as a District & Sessions Judge in Assam Judicial Service in April, 1991. While working as the Registrar General of Gauhati High Court he was elevated to the Gauhati High Court on 04.03.2002.